Joseph Ribkoff Womens Black and White Top 144450. 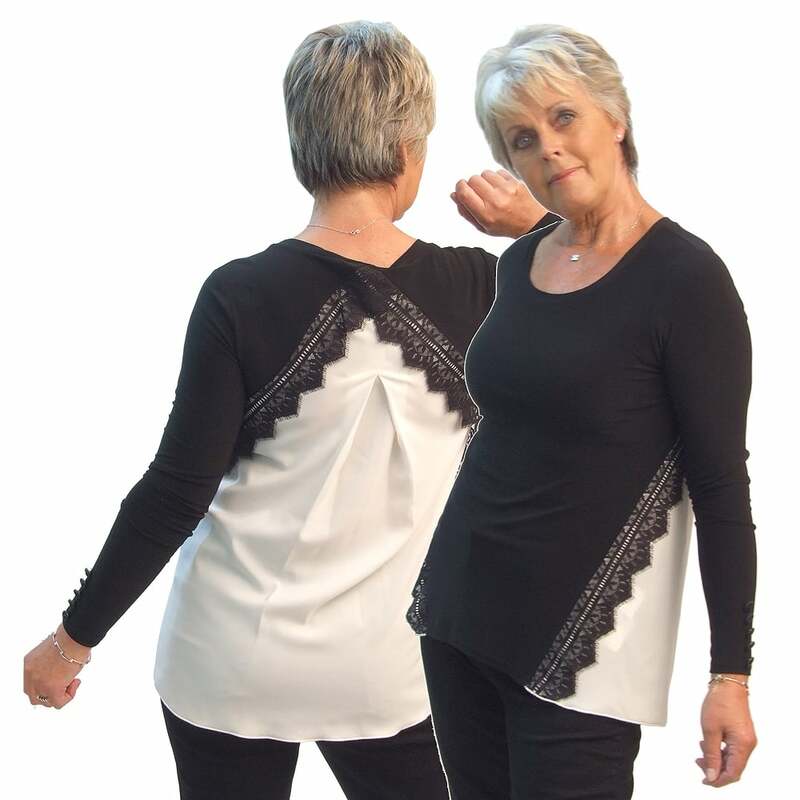 Top, long sleeves, boat neck, in black front with white back with pleat detail and black lace detail. Fabrics: 92% viscose 8% elastane.